﻿﻿﻿WELCOME TO AWARD WINNING FROSTED FANTASIES CAKES! Tri-State's Valley Chef Showdown on March 7, 2015, at the Historic McFarland House during a live competition for pastry chefs. Also featured in the Spring edition of Valley Homes & Style Magazine! We are a custom cake studio and they call me the Cake Diva. I love to make fantasies out of frosting, Frosted Fantasies is an appointment only custom cakery specializing in unique edible art and show pieces. I am different than a bakery because each cake is researched and designed for each of my special clients. 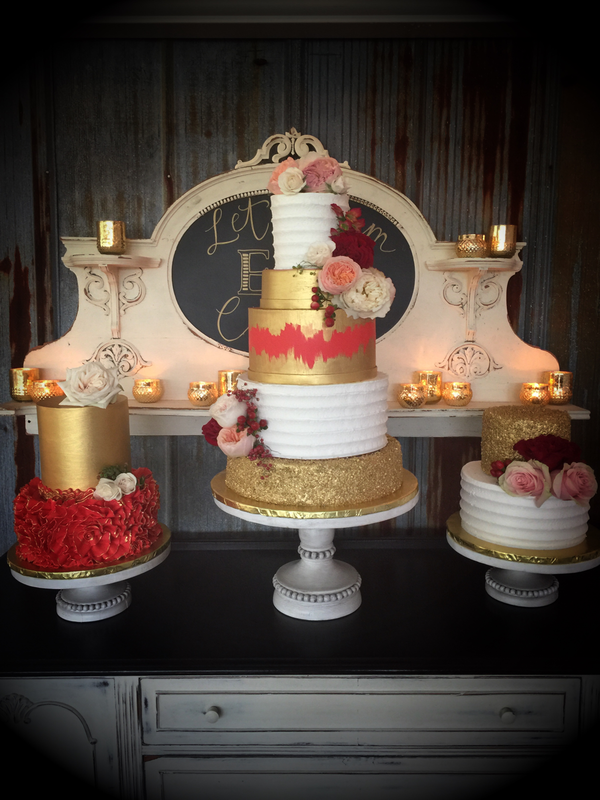 My cakes are often used as centerpieces for exquisite parties and I take the stress out of planning because I deliver right to your door! From zebra, high heels, purses, cigars, beach or golf, I can create your masterpiece with cake art. I take classes with some of the best sugar artists in the country and attend conventions each year to stay up to date on new techniques. I love what I do and do what I love, and that's cake! Take a look around and enjoy! We are the only custom cakery in Berkeley County and Jefferson County, WV, with delivery to your door! We book months in advance, so do not wait -call 304-886-7097. Cake orders start at $200. We require a 2 week notice for all orders. Winchester, Virginia, Hagerstown, MD, Frederick, Maryland, Washington D.C and West Virginia. We need at least a 2 week notice for all orders.